Why not create a space as colorful as your books and the stories within? There’s no other better option to do something like that other than creating a home library. It has a special place in the bookworm’s heart. It lets book lovers of all ages get a special place of shelter, be comfortable while digging into a great book or a Magazine. If you are amongst them, you must be aware that libraries can be a terrific way to channel your inner style. From bold space with high hues to lively patterns and a bit of over the top glamour, home libraries are part of mankind’s history. Interestingly, there are vast varieties of books available to decorate a library. You can try some sleek bookcase in vivid shades plus a few exotic accents like coral and emerald to flame up your home library a bit more. Choose an area that isn’t too loud or heavily treaded. It does not matter if it is an entire room or a small space, keep your choice simple. The corner of a room or anywhere quiet will serve you with a great space to simply relax. It should be able to provide you with a relaxing aura where you can simply sit back and enjoy the book. Thus, once you have decided where your library will take shape, let’s hop into the next step! Determine the number of books you have. Next, plan a space for your library in such a way that it can accommodate all of them. You can start by deciding if you want to design bookshelves from the top of the ceiling to the bottom of the wall. For those who only want to enjoy and relax while reading a book, they can opt for using open shelves, modern decor touch etc. You can also use some space where you can keep your Stationery by the side. After determining the storage for the library, you can now resolve on the color palettes that you want to bestow. For a modern touch, you can opt for a lighter shade or a deep textured look. If you are a fan of the traditional library look, you can choose dark colors like rich burgundy or hunter green. Thus, pick up such colors that go well with your interior and which represent you. Ensure that the colors are fine for you and your family relax in the library area. Libraries mostly need a lot of space to sit and read. So, you should design the furniture that you will like to accommodate there in a smart way. Decide on the number of chairs or lamps that you want to use in the library. If there are only a few people who are going to hit the library then you can opt for oversized chairs and tables. Solely, a vibrant lamp kept over a small table and a chair beside it will go. If you are an environment lover, you can choose the nature photos. The essence of a library are the shelves. They ensure that your books are properly hung on the wall. With the help of anchors and studs, your books will be correctly fixed and you won’t have to fret about books hitting the floor out of nowhere. If you aren’t sure on how to hang the shelve accordingly, hire a professional carpenter to aid you in hanging the them rightly while securing the bookshelves. Lighting is an important part of a library. For daytime, natural light coming from the windows will do most of the work. However, for the evenings, you can utilize the side-table lamps or overhead lighting for reading. You can add a dimmer to the overhead light to make the room flexible for reading a book. For limited space, you can use the wall to hang the books on it. You can use the extra space by the windows and door to make shelves which can be an extra bonus! Thus, if you go vertical, it will help you make the most practical use of the small space that you’ve for the home library. Providing a library some great windows is definitely a dream for a bookworm. Those oversized windows will not only bring the natural light inside but also you will be able to enjoy the panoramic views of the nature while reading your favourite noble. You can further uplift the episode of reading the books while savouring a mug of hot chocolate. Thus, make sure you are opting for the natural view to make your library look fresh and natural. Home libraries are not only for the book lovers, they are a part of some people who prefer to enjoy a peaceful aura and stimulate their mind. If you are dreaming of having a library in your house, go for it now. Thus, there no reason for you stop l your dream. Well, you aren’t being recommended to have that typical library in your house which you see in the movies. The tips here are aimed to help you design your personal oasis which is vibrant and customized as per your choice. It doesn’t matter how much space you’ve got, you can always come up with an awesome home library. All that you need to ensure is that you’re designing such a fantastic space which you totally deserve. 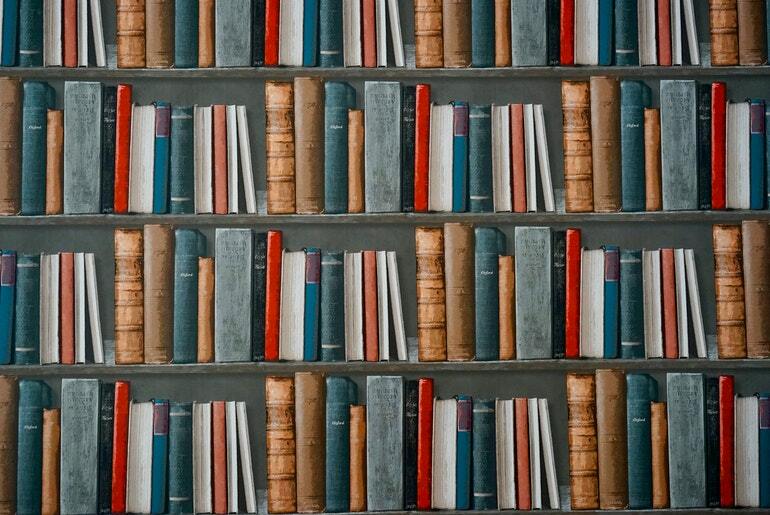 Start building your home library today with while keeping these amazing tips in mind! Lyla Morris is a Founder & Editor at Lylamorris.com. She loves to write about Parenting and Health Care tips also.